Betabrand is a clothing company based in San Francisco whose production decisions are based completely off of their customers designs, and votes. This uniqe selling point allows their fans to create their own designs, have them voted on and supported through crowdfunding, and produced and sold in store and online by Betabrand. Currently, they have lots of support from their super fans but have issues translating their brand to consumers that have never heard of them before. Highlight and maintain core brand values as well as provide a flow to easily discover products. 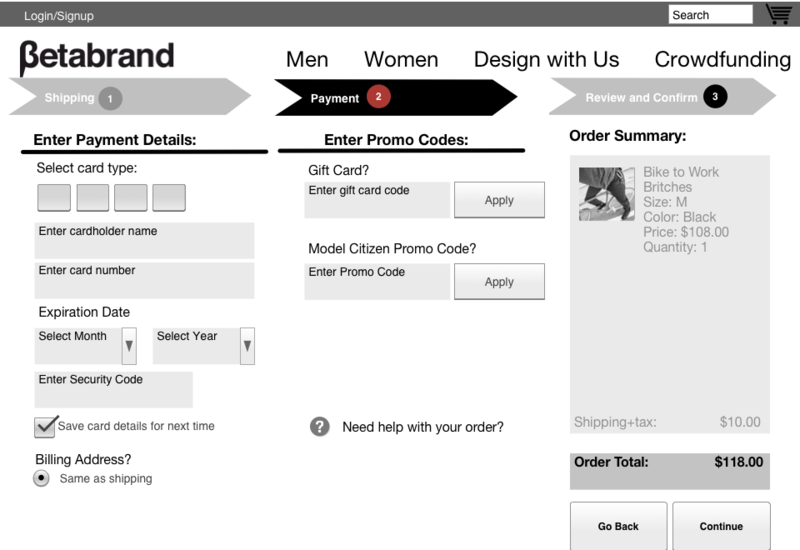 A redesign of Betabrand’s site that simplified path to purchase and product discovery based on core user needs and testing. 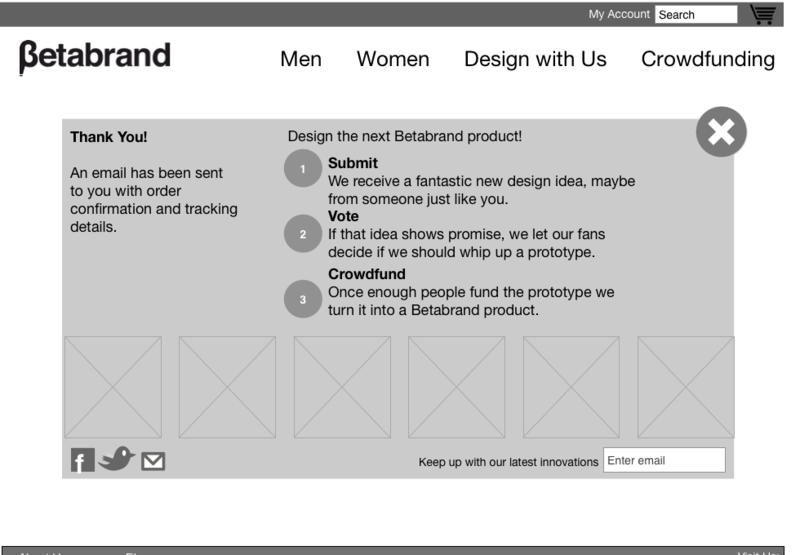 Additionally, the redesign showcases Betabrand’s unique business model and communicates values effectively. I employed a card sort to determine both the categories in which the products would be grouped on the site and to cut down the fluff and streamline the product page. 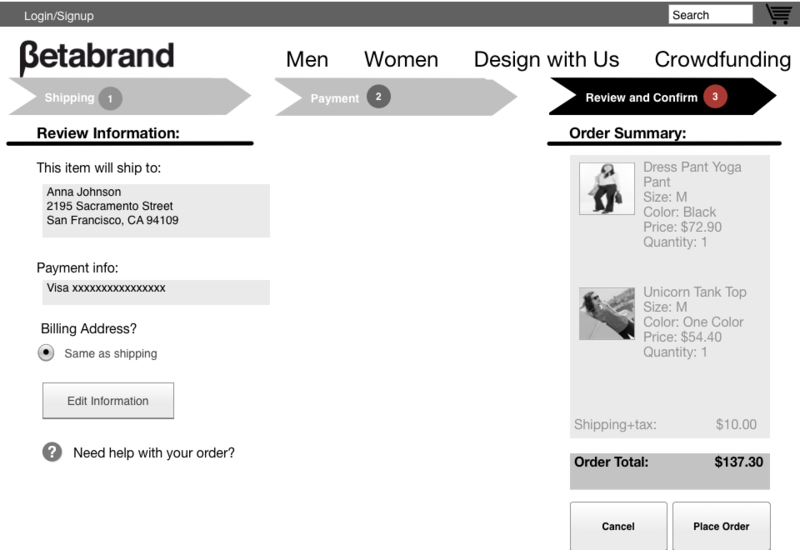 The results helped inform the design of the product page. Product story, shipping information, and the make and care were de-prioritized on the page. The most important information to the users included price, fit, images, and colors. 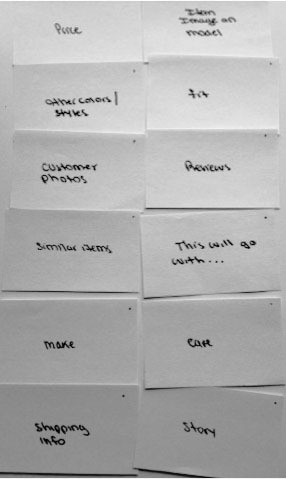 My site map was informed through research (interviews and card sort) and made to merge business with user goals. The user flows were greatly shortened from the original pathway on the site. I started off with a three column design to illustrate the 3 bucket approach to beta brands business model and a simplified nav - on a single page as opposed to the continuous scroll. Using the insights collected during my research phase simplified the product pages to contain just the information that our users wanted to see.